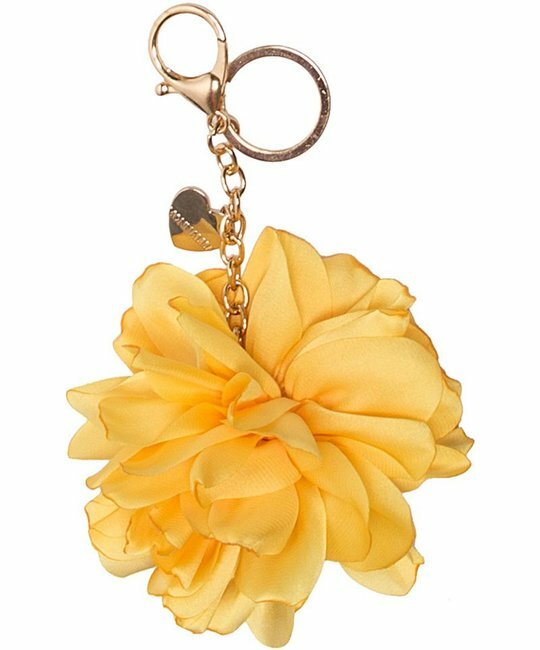 Monnalisa soft yellow floral key chain accessory with gold heart charm chain. 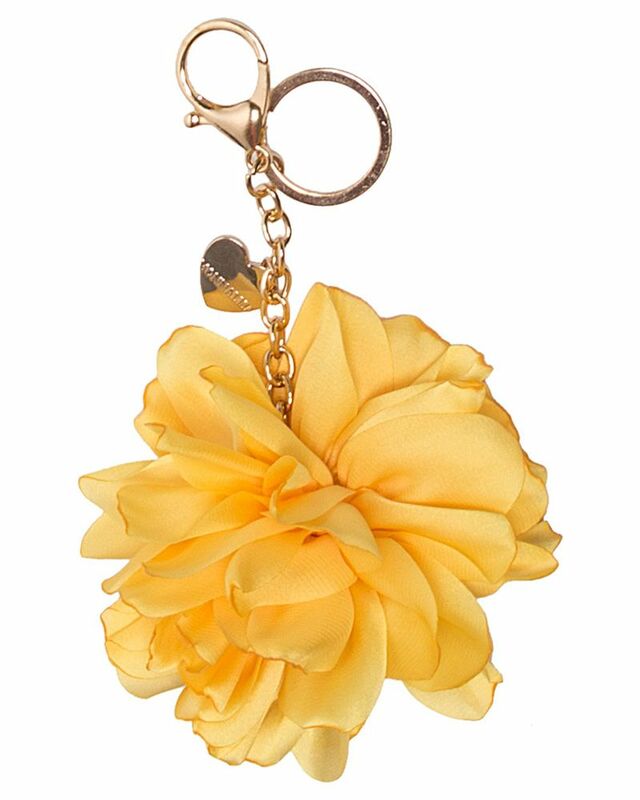 The perfect add on to embellish any accessory. 100% Polyester. Imported.